Are you aware of doctors or health plans upcoding patients enrolled in Medicare Advantage plans? Medicare loses billions every year to errors in the calculation of the risk score for patients and your information is needed to stop it. Reporting risk adjustment fraud through a whistleblower lawsuit under the False Claims Act may also entitle you to receive a reward from the money that the U.S. Government recovers because of your information. Medicare Advantage fraud has been described as the False Claims Act’s “Next Frontier” in at least one news article in the legal industry. 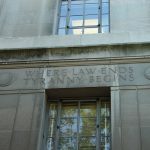 It speculates that there are a decent number of cases “under seal.” These cases have not been publicly released and are still under investigation by the Department of Justice. Only a handful of cases involving MA plans have been unsealed so far. More are expected when there has been adequate time from the initiation of the system, just over 10 years ago. It can take some time for companies to begin committing fraud and a resulting whistleblower lawsuit to reach the public eye. CMS estimates that Medicare Advantage improperly paid out $13.1 billion in 2013 due to errors in the calculation of the risk score. 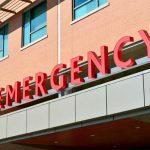 Several health plans have also been accused of turning a blind eye to doctors specifically visiting patients with a Medicare Advantage plan and reporting that they are sicker than they actually are during the visit. CMS bases its risk score calculation for the patient on the information provided by the Medical Advantage plan. The plan must have adequate documentation of all diagnoses that it submits to CMS. Medicare relies on the information provided by the health plan as it does not require the plan to submit supporting documentation. The plans act improperly if it reviews files for missed coding opportunities and does not also report instances of overbilling. Medicare Advantage is an alternate option for Medicare recipients that is generally administered by private insurance companies. Also known as Medicare Part C, it replaces the fee for service model traditionally used by Medicare. Instead, a flat monthly fee per enrollee is paid by the U.S. Government to a third-party health plan. This fee is adjusted upward for sicker patients and adjusted downward for patients who are healthy. 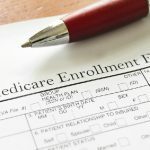 Medicare Advantage plans have grown in popularity because of lower costs for patients and the additional health care benefits they provide to enrollees. They serve roughly a third of Medicare patients at a cost of approximately $150 billion a year to the U.S. Government. CMS has used a risk score to pay the health plans administering Medicare Advantage since 2004. Medicare Advantage plans bid for the amount they will charge Medicare each month for an enrollee. The diagnostic information provided by doctors is then used as a multiplier to adjust the patient’s risk score and pay the health plan more or less. The potential for problems with the system is evident almost immediately. By claiming that the patients are much sicker than normal, the health plan can receive more from Medicare than it is entitled to receive. 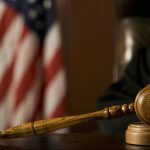 This practice is typically referred to as “upcoding” and is a violation of the False Claims Act when done by an entity with the requisite intent. It is also referred to as risk adjustment fraud or risk scoring fraud. Whatever you want to call it, it is simply another example of health care fraud.